In 2019, two U.S. Congressional districts in North Carolina (House District 03 and District 09) will be holding special elections to fill vacant U.S. House of Representatives seats. Find out if you live in one of these districts. See below for important special election dates and to look up voting locations for these congressional districts. *For more information on why a new election is being held, click here. 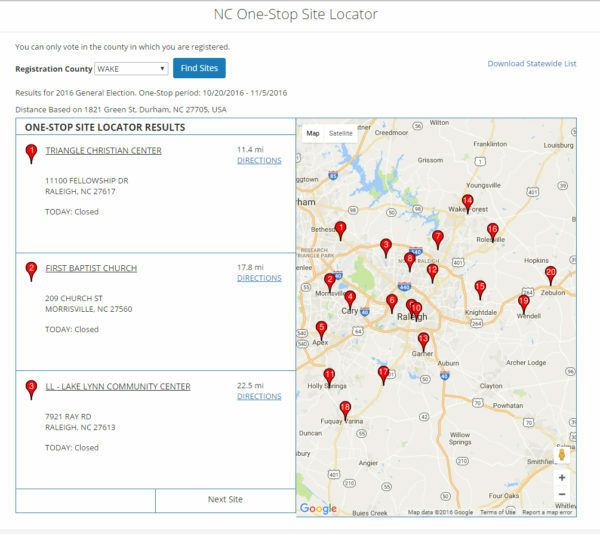 If you are unsure whether you are in the districts holding special elections or your Election Day or Early Voting location(s), you can use the N.C. Board of Elections’ lookup tools to check your options. Remember: you can register and vote in one-stop ONLY during Early Voting; and on Election Day you must vote at your precinct ONLY (not an Early Voting location). 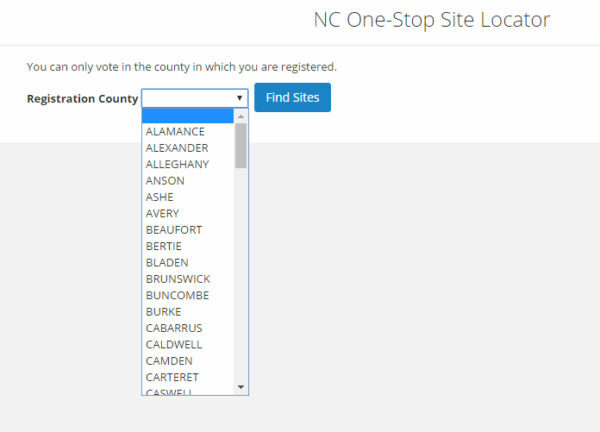 (1) You can look up whether you get to vote in either special election (and your Election Day precinct) via the N.C. State Board of Elections’ Voter Search. (2) You can look up and/or download Early Voting locations by county here. 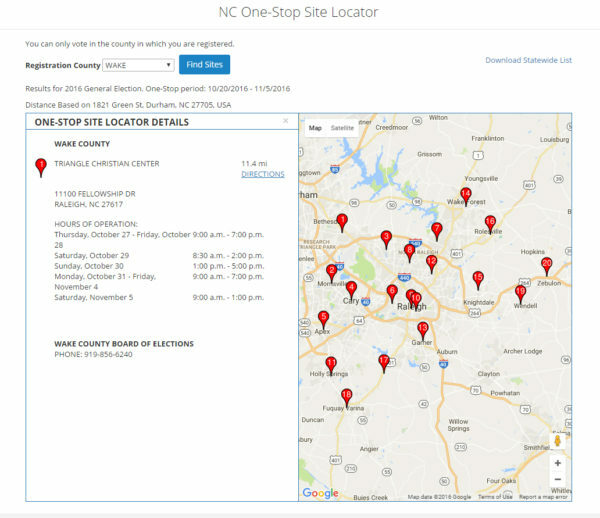 (3) You can look up your Early Voting locations online via the N.C. State Board of Elections’ One-Stop Site Locator. #2 — Select your county from the drop-down menu listed on the above site. # 4 — A list and map of the sites in your county will appear. Click the name of your preferred site (for example, the one closest to your home or work) to see the Early Voting hours available at that site. That’s it ~ please share this page with friends and family so they can find their Early Voting options too! Need an ID to Vote in NC? NCVoter.org is brought to you by Democracy North Carolina. We are a nonpartisan organization that uses research, organizing, and advocacy to increase voter participation, reduce the influence of big money in politics and achieve a government that is truly of, by and for the people.